Fort Covington, NY (March 30, 2019) – Police responded to the scene of a three-car accident that happened on a local highway and caused injuries to two people. The accident took place around 8:23 p.m., on State Route 37. State Police were called to assist. Emergency vehicles were called in for those who received injuries. 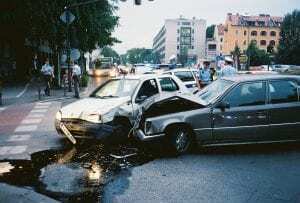 The accident took place in a chain-reaction style when two vehicles collided with one another and a third became involved. Two of the people involved have since been named as 54-year-old Jonathan Garrow, of Hogansburg, and 21-year-old Alice White, of Malone. The third driver was an unnamed 18-year-old female driver. No further details have been made available. The investigation of the accident continues at this time. We would like to extend our warmest sympathies to those who have been injured in this accident and absolutely maintain hope for their full recoveries. Car accidents in New York are far too often injurious, causing serious results to those who have suffered. It can be tremendously difficult to move forward after one of these accidents but it is always essential for a victim to know that they have rights to compensation at this time. At Hach & Rose, our devoted accident attorneys are fully dedicated to helping you maintain the best results in your case. We will guide you along the problematic and sometimes confusing path toward compensation for your losses. We are proud of the passion that we hold in these cases and are here for you 24/7 to answer any questions you might have. Please do not hesitate to contact us at 212-779-0057 to find out how we can assist you.